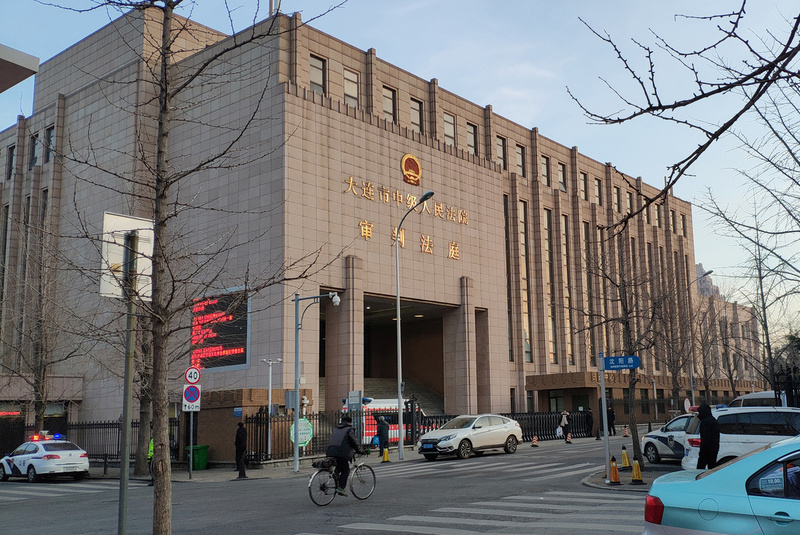 Chinese Court Sentences Canadian Man To Death, Escalating Tensions Robert Lloyd Schellenberg, 36, had appealed a 15-year prison sentence for drug smuggling. Some experts say China is retaliating for the arrest of a Chinese tech executive in Canada. The Dalian Intermediate People's Court in China, where the retrial for Canadian citizen Robert Lloyd Schellenberg was held. A Canadian man who appealed his 15-year prison sentence in China for drug smuggling was instead sentenced to death — a swift ruling that has led some experts to believe Beijing is applying pressure to Canada after last month's arrest of Chinese tech executive Meng Wanzhou in Vancouver. On Monday evening, the Canadian government issued a warning to citizens who might travel to China: "Exercise a high degree of caution," it said, warning of the "risk of arbitrary enforcement of local laws." Robert Lloyd Schellenberg, 36, was detained in 2014 in northeast China's Liaoning province. In November 2018, a court found him guilty of trying to smuggle methamphetamine from China to Australia. His retrial at the Dalian Intermediate People's Court on Monday was hasty. "The announcement of the sentencing was all very fast, it took around 20 minutes," said Schellenberg's lawyer Zhang Dongshuo, according to the South China Morning Post. The deliberation took "around one hour." Prosecutors argued that Schellenberg's 15-year prison sentence was too lenient, in light of new evidence of his alleged involvement in a drug trafficking operation, according to news reports. Schellenberg said he was a tourist framed by crooks, including a witness brought in by the prosecution. "When pressed on details," the SCMP newspaper reported, a witness named Xu Qing "frequently told the court he could not remember them and had to refer to a written statement for details, including when Schellenberg questioned him about 180,000 yuan he was purportedly given." In a message to NPR, Schellenberg's aunt, Lauri Nelson-Jones, said, "All I can really say at this moment is, it is our worst case fear confirmed." She added that the family's thoughts were with him during this "heartbreaking" time. "It is rather unimaginable what he must be feeling and thinking." Meng is the chief financial officer of Huawei, a massive telecom equipment manufacturer headquartered in Shenzhen, China. She is also the daughter of its multibillionaire founder, Ren Zhengfei. She was detained at the request of the United States, which is seeking her extradition for allegedly violating its sanctions on Iran. Meng was freed on bail and is under house arrest; Canadian courts are assessing whether to extradite her. Shortly after Meng's arrest, Chinese law enforcement detained Canadian citizens Michael Kovrig and Michael Spavor on suspicion of jeopardizing China's national security. A third Canadian detained in December, a teacher named Sarah McIver, was returned to Canada. Canadian diplomatic experts believe those detentions are related to Meng's. And on Monday, Canadian Prime Minister Justin Trudeau denounced the sentence handed down in Schellenberg's case. Trudeau told reporters he was extremely concerned that China chose to "arbitrarily apply [the] death penalty" to a Canadian citizen. He said his country will try to intervene. Canada's travel advisory follows one issued by the U.S. earlier this month. The State Department warned Americans to exercise "increased caution in China," also due to arbitrary enforcement of local laws. "Chinese authorities have asserted broad authority to prohibit U.S. citizens from leaving China by using 'exit bans,' sometimes keeping U.S. citizens in China for years," the travel advisory said. "U.S. citizens may be subjected to prolonged interrogations and extended detention for reasons related to 'state security.' "
U.S. and Canadian business executives have been more skittish than usual about traveling to China, NPR reported in December. But some multinational companies operating in China are wary about publicly changing their travel policies, fearing such a move could hurt their economic interests. Another Huawei executive was arrested last week and charged on suspicion of spying for China, this time by Poland's Internal Security Agency. China's Foreign Ministry voiced "grave concerns" over the incident. Zhang Dongshuo, Schellenberg's lawyer, told reporters that his client is likely to appeal the court's decision, according to SCMP. Schellenberg can appeal his sentence to the Liaoning Provincial Higher People's Court. He added that Schellenberg's was "an unusual case." Matthew Schwartz contributed to this story.